The thing that makes a watch convenient is the ability to glance down at your wrist to get the information you need. Smartwatches take this one step further by making that information dynamic, including fitness information and notifications from your phone and sometimes even turn-by-turn navigation or phone calls. But the core feature should still be the ability to glance down and use the watch as a matter of convenience. Few smartwatches hit this mark, because most displays are easily washed out in the sun and battery life suffers when the display is on and active all the time. If your goal is fitness oriented, you may prefer something built with more fitness functionality and a slimmer profile. If you spend more time in a suit than you do a sweatband, you may want something a little classier on your wrist. Alternately, you may just want something a little cheaper with most of the same features. In those cases, this new smartwatch have some amazing options built specifically for those needs and are well worth checking out. The fitness and health functionality of these devices can help you to maintain a day to a day fitness schedule and help you reach your weight loss goals. Be fashionable and be fit! This is the latest in the smartwatch industry -- all-in-one wristwatch that monitors vital signs of your health. To become health and wellbeing is a dream for every person, and this beautiful-elegant device absolutely can help you. 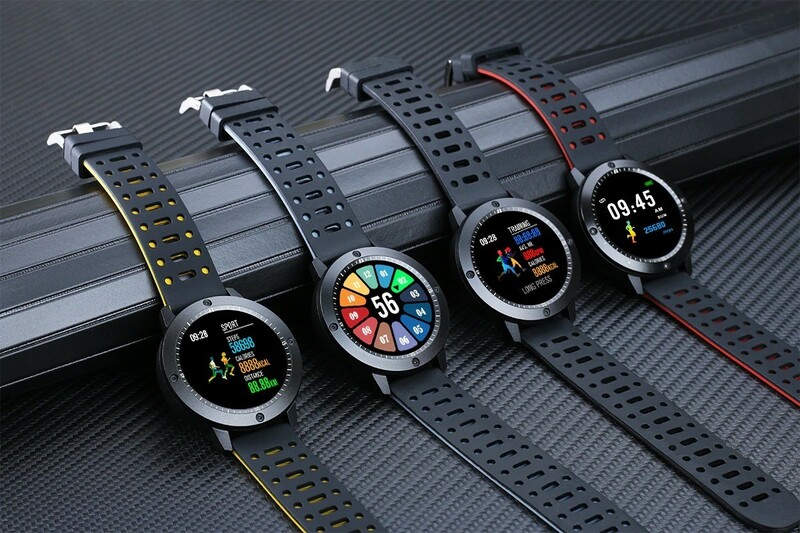 Buy Heart Rate & Blood Pressure Smartwatch 30% OFF! !